Weeks have gone by after after US president Barack Obama left the country but Kenyans are still talking about him and the impact he brought into the country. When Obama was in the country, only a few people got the opportunity to meet him in person and our very own hip hop star Octopizzo got that privilege of meeting and talking to him face to face. 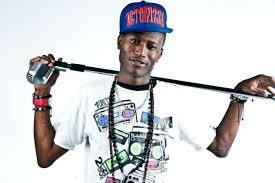 During an interview with Mseto East Africa host Mzazi Willy M Tuva, Octopizzo revealed how he met the most powerful man on earth.